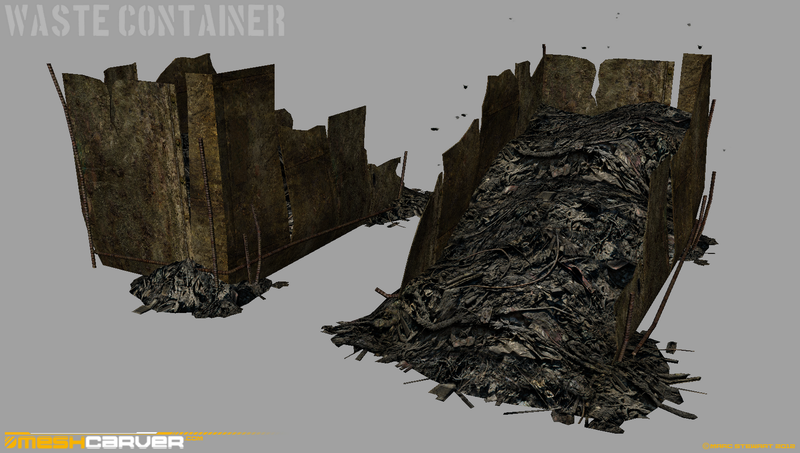 This is my take on the Stalker waste containers that are to be found in Call Of Pripyat. I want to really push the post-apocalyptic survival feel with all these rusty iron sheets barely holing in all this refuse from years and years of Stalkers coming and going and leaving behind all sorts of useless destroyed junk and waste. These things should make good sniping spots, as you can climb up into them, lie down and sneak a shot through some of the gaps in-between the panelling, and you'd also be pretty well protected by that sheet metal.